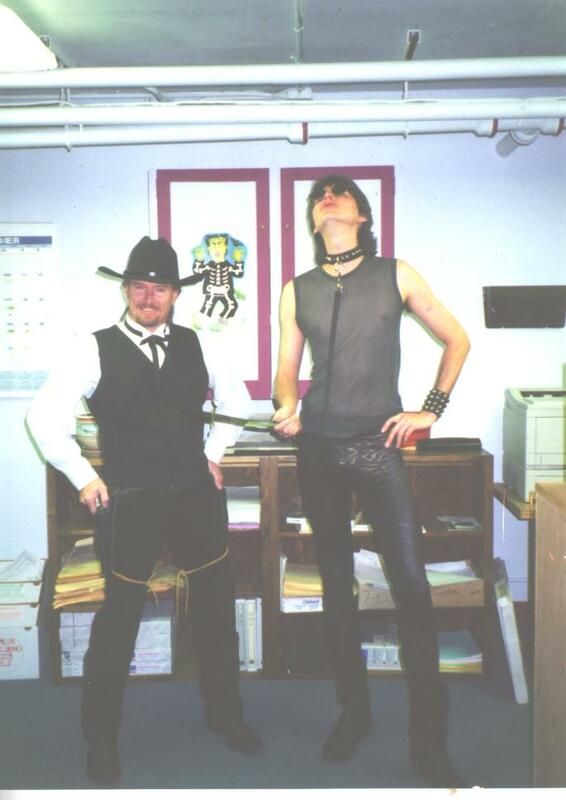 Former co-worker Russ and I at work on Halloween. Sadly, Russ was found guilty of embezzling. I guess that explains why my soda pop money jar was short? The FIS (Financial Information System) office in the basement of Strand Agricultural Hall (STAG), OSU Campus.